Did I mention that I love gears? I hope that you head on over to Eileen Hull's blog and check out all the fabulous projects made with the new Stitchlits collection. It's sure to be a favorite! I am also going to enter this Sewing Box into the SanDee&amelie's Steampunk Challenge blog's Winter 'Anything Goes' challenge. Lisa this just blows me away... you rock! very awesome! would love to see the progression of this. Thanks Heather! 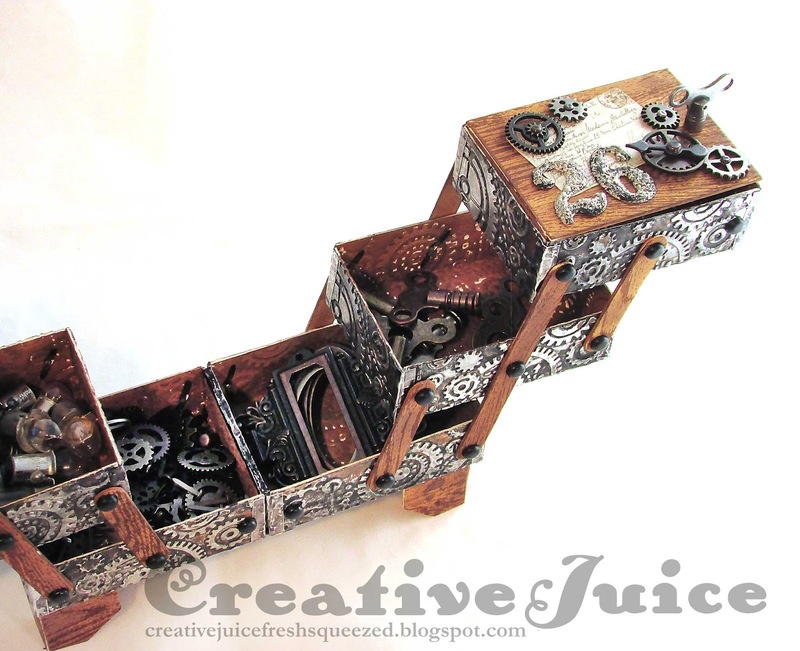 I'll have to make another sewing box and show all the steps. I can't believe I deleted them for this project. DOH! 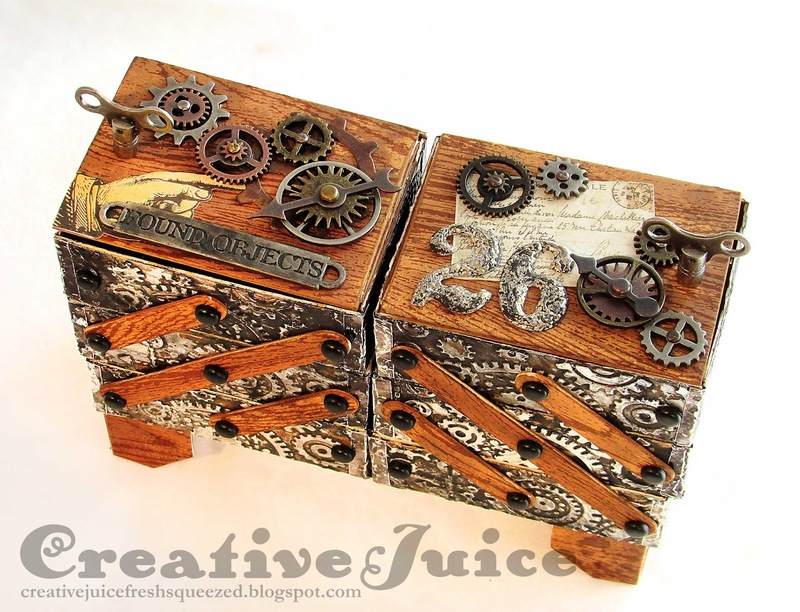 Such a fab sewing box and you have put such a lot of love and labour in its making! 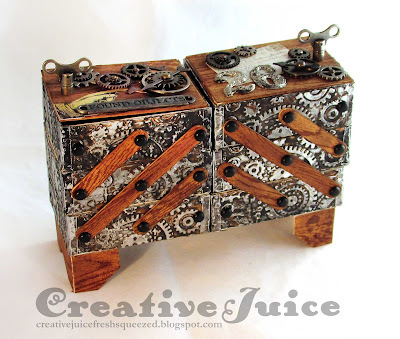 Thank you so much for sharing your stunning project with us at SanDee&amelie's Steampunk Challenges! Lisa.. this is a dream sewing box for so many including me!!! i would love to own one of these.. the details are freakin amazing!!! fabulous.. totally sincerely fabulous! 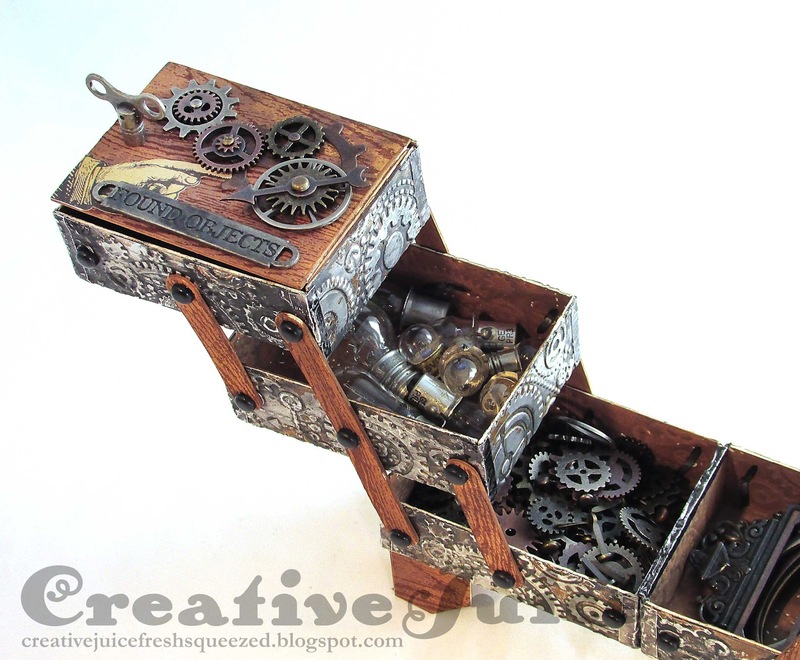 What a beautiful steampunk sewing box, it can contain many secret treasures. Ohmy goodness!! This is awesome!!! Wonderful! And very handy for all these equipment! Wow. What a lovely piece. 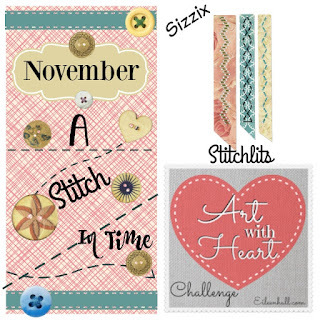 Now I am obsessed with getting this sizzix die!